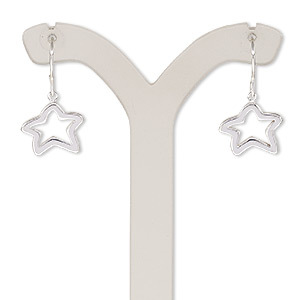 Earring, sterling silver, 21mm with open star and fishhook ear wire. Sold per pair. Item Number: H20-F1048CL Have a question about this item? 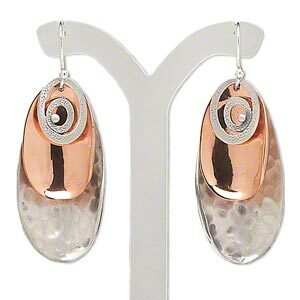 Earring, sterling silver and copper, 39mm with smooth and textured fancy teardrop with fishhook ear wire. Sold per pair. 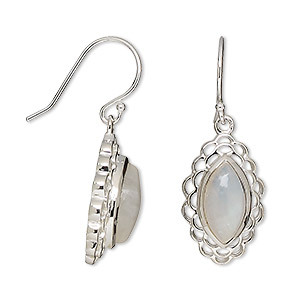 Earring, rainbow moonstone (natural) and sterling silver, 33mm with 12x6mm marquise and fishhook ear wire. Sold per pair. 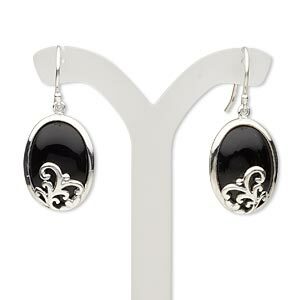 Earring, black onyx (dyed) and sterling silver, 34mm with 18x13mm oval and fishhook ear wire. Sold per pair. 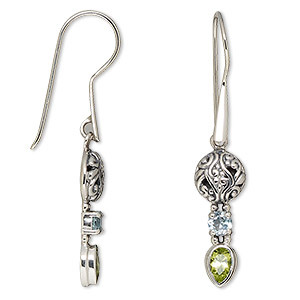 Earring, peridot (natural) / sky blue topaz (irradiated) / antiqued sterling silver, 43-46mm with 4mm faceted round and 5x3mm faceted pear with fishhook ear wire. Sold per pair. 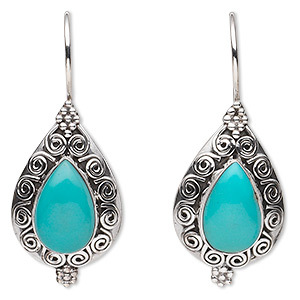 Earring, turquoise (stabilized) and sterling silver, 40mm with filigree design and 14x9mm teardrop with fishhook ear wire. Sold per pair. 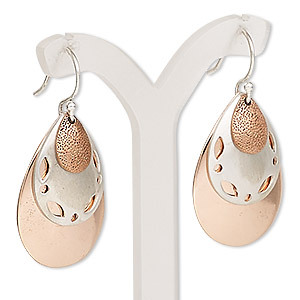 Earring, copper and antiqued sterling silver, 37mm with smooth / brushed / hammered fancy triangle and fishhook ear wire. Sold per pair. 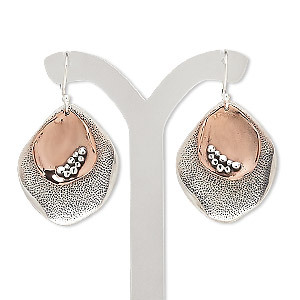 Earring, sterling silver and copper, 40mm smooth and textured teardrop with fishhook ear wire. Sold per pair. 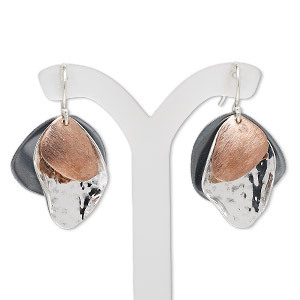 Earring, sterling silver and copper, 50mm with smooth / textured / hammered design and fishhook ear wire. Sold per pair. 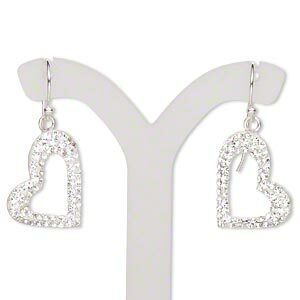 Earring, Preciosa glass rhinestone / epoxy / sterling silver, clear, 30mm with 18x14mm single-sided open heart and fishhook ear wire. Sold per pair. 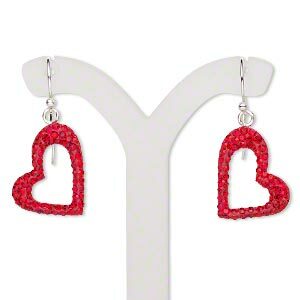 Earring, Preciosa glass rhinestone / epoxy / sterling silver, red, 30mm with 18x14mm single-sided open heart and fishhook ear wire. Sold per pair.